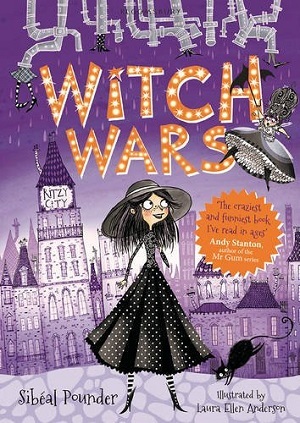 Following last Wednesday’s blog on younger readers’ books about witches, three more witchy series for slightly older children. What’s noticeable about these newly published series is that the reader can almost reach out and touch the amount of fun and tongue-in-cheek mischievousness within. 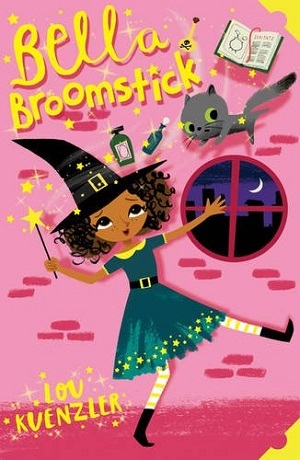 This newest witch, Bella Broomstick, was first published this year. Author Lou Kuenzler is a perennial favourite author in children’s libraries, with her series Shrinking Violet and Princess Disgrace, and Bella is a spritely addition to the canon. She’s a young witch, raised by her nasty Aunt Hemlock, and told that she is so terrible at magic that she’s being sent to live in Person World (through the invisibility curtain dividing the two worlds), and she mustn’t use magic ever again. As it happens, Bella makes herself at home in this new world, and finds it quite exciting – with fluffy slippers, yummy breakfasts and proper baths, as opposed to Aunt Hemlock’s wobbly warts, frogspawn porridge and squelchy swamps. Of course not everything goes to plan, and Bella does use some magic to rescue a kitten, and before long she’s in a bucket load of trouble. 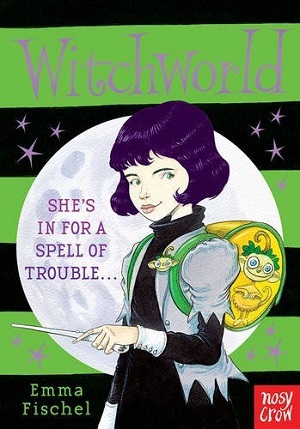 Lou Kuenzler has cunningly subverted the children’s literature trend for exploring the witch world, and instead has implanted Bella in the Person realm, reminiscent of long ago shows on television such as Bewitched, except here the protagonists are children. The lovely deeper meaning behind the simple story is that Bella doesn’t expect there to be any magic in the person world, whereas in fact, she discovers that although mirrors don’t talk back – there are some magic things, such as toilets that flush and television. There is magic in our world, if we open our eyes and look for it. There’s also the underlying theme of a child just wanting to be appreciated, and discovering that its not the tricks you can do that define you, but how you behave and how you use those magic tricks. There are influences of Blyton here – the magic is gentle and beguiling, and a lovely use of animals as comforters for a young child – Bella’s distinguishing talent is that she can talk in animal language. Accompanied by cute, doodle illustrations throughout, this is suitable for fluent 6 year old readers and certainly for age 8+ yrs. You can buy the book here. This the most fun I’ve had reading a book in quite a while – the most inventive, crazy, yet hilarious read – humour that reaches far beyond the slapstick – although there’s that too. Fashion meets witches in this madcap adventure that takes Tiga Whicabim (work out the anagram), down the drain pipes into a world of witches (a town called Sinkville, ie., the world beneath the sinks – there’s even a map at the beginning of the book). Fran the Fabulous Fairy from the Sinkville version of Hollywood (Brollywood – so called because it’s under most of the drainpipes from human world and so gets very wet), explains that Tiga has been nominated to take part in Witch Wars, a competition between nine nine-year old witches to see who will be Top Witch. Fran is a TV presenter, and will be following Tiga round with a television camera to film her taking part. In a Big Brother-esque motif, the competitors are all filmed. Indeed, every facet of this book is original, inventive, entertaining and witty. From the underwater spa, to the bed with feet, to viewing television on the back of a spoon or on somebody’s bald head (bringing a whole new meaning to the word portable! ), to my favourite scene with the cove witches, where Tiga and her friend Peggy practise their ‘echoes’. This book is fabulous. Witty, contemporary, the plot zips along, presenting the riddles of the competition to the reader so that they can solve them too, as well as containing jokes for both smaller children and overgrown ones! The nine-year-old witches are told they can be trusted to make all the rules for Sinkville, but not be trusted to look after themselves – brushing their teeth and putting themselves to bed on time. There are constant allusions to fashion – although there’s clumsy and scruffy Peggy for those who can’t quite identify with the frock fascination. The prose is also punctuated with ‘breaking news’ alerts as each witch is knocked out the competition. Added to the mayhem are Laura Ellen Andersen’s confident and stylish illustrations, depicting the shoe house, the clothing store, angry fairies and bald witches. They complement the text beautifully. Sibeal Pounder has no bounds to her imagination, and also cleverly alludes to fairy tales – Rapunzel to name but one, as well as Mary Poppins, with the witches’ floating tables. But the overarching theme is friendship. These witches certainly have edge. They are feisty, funny, fabulous and flamboyant. Reading Witch Wars is like eating a cake that’s been made with the lightest of touches. It’s moreish and sweet. Thank goodness for the second, Witch Switch, and a third to come in March this year, Witch Watch. Try Witch Wars here. Another modern spin on how witches might be in the 21st century. Our protagonist, Flo, is a quietly intelligent and sensitive young witch about to start secondary school. Her mother is editor-in-chief of a celebrity witch magazine Hocus Pocus, and Flo also has a typical witchteen sister Hetty. As with Witch Wars, it’s the inventiveness and modernising that shouts from this book, although it’s much more serious than Witch Wars. The witches in Witchworld are not antiquated witches who ride on broomsticks and stir potions in cauldrons. They have a cupboard full of Potions2Go, they ride on Skyriders, talk to each other on their skychatters (phones), and their wands have become up-to-the-minute touchscreen spell sticks. When Flo’s grandmother comes to stay, and warns Flo and her family about the impending Ghoul Attack, no one believes her. After all, she’s a throwback to a bygone era with her broomstick and ‘old ways’. 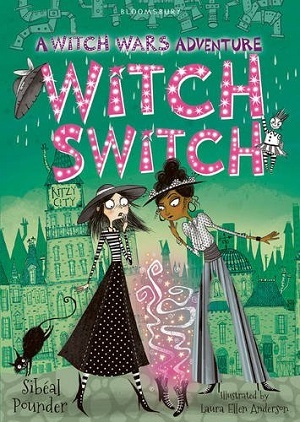 Then Flo discovers that her grandmother is right – and not only do they have to save Witch World from the ghouls, they also have to convince everyone that the ghouls are real. 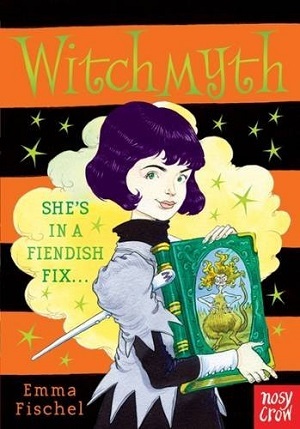 Featuring celebrity forest pixies and witch school proms, concerns with modern technology (using a magic mirror for hacking), obsession with appearances, therapy and communicating with busy parents, this is a witchworld that holds up a mirror to our own. It’s not subtle, but it’s incredibly fun. The plot darts along merrily and the beautiful packaging of the book (from cover and inside illustrations by Chris Riddell to the colourful sprayed edges – the first book purple, the second orange) makes this a sure-fire winner with the 8-12 years age group. The second book, WitchMyth was published at the end of last year. Cast your spell here for a copy of the book.